Using a Pelican case is the mark of a pro. Now the inside of your case can look just as professional. You’ve always trusted Pelican™ to protect your sensitive gear. Now with our exclusive TrekPak™ system you can kit out your case with the precision your equipment deserves. 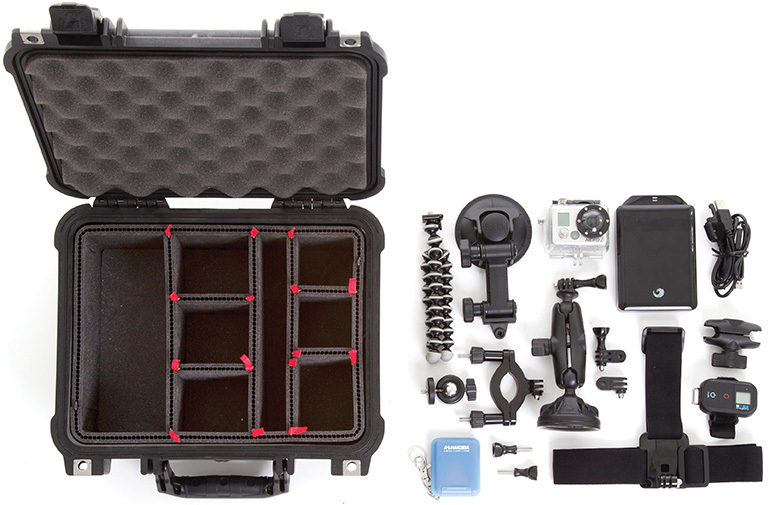 You’ll be amazed at how much more gear you can get into your new case. At just 7/16” (1.1 cm) thick, these rigid panels form a precise grid of protection without wasting any space. 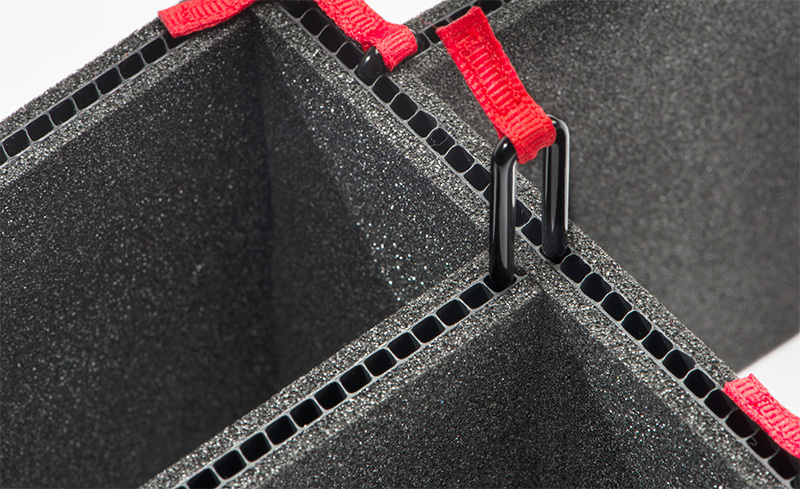 Together with the included 1” (2.54 cm) bottom foam and convoluted lid foam, the TrekPak system forms a 360-degree cocoon inside your Pelican case. 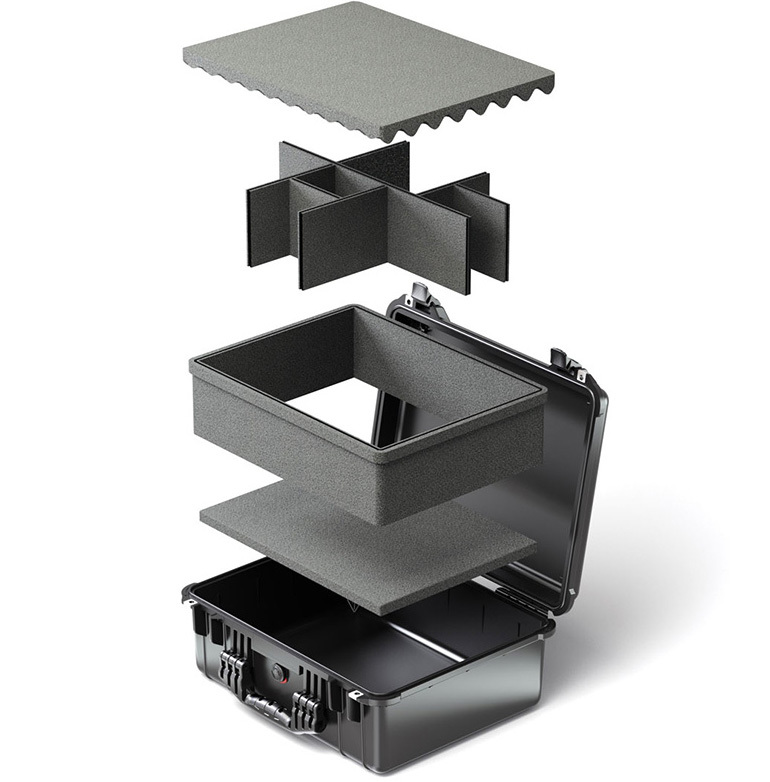 The TrekPak system uses pre-installed wall sections, divider panels, locking pins and a fool-proof cutting tool. Just lay your gear in the case, measure and cut the divider sections and lock them in place with the steel U-pins. We include extra divider material so you can change your mind, plus divider panels are also available separately so you can reconfigure your dividers anytime. The results are impressive. The divider sections are manufactured from waterproof, closed cell foam that is laminated to a rigid corrugated plastic panel. Light, strong and almost impossible to tear or shred, these panels will keep your gear safe for years. Trimming the dividers to length is a snap. 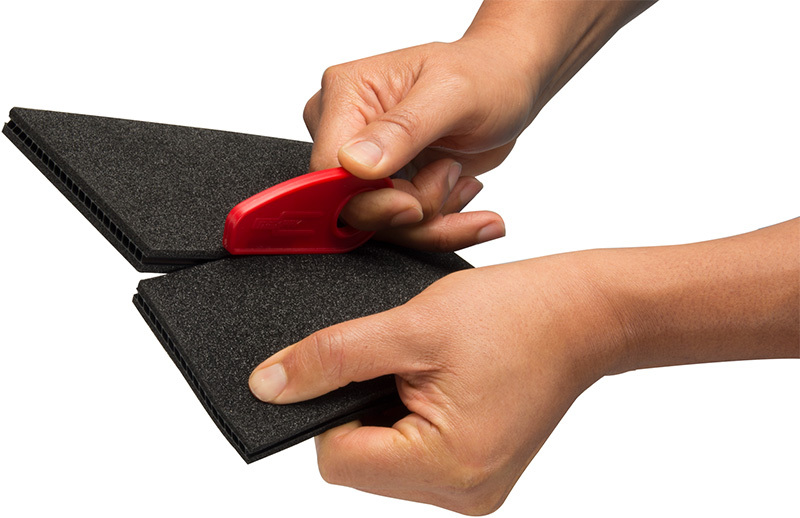 TrekPak’s exclusive double blade tool has a center guide that tracks in the corrugated center. Just place the tool in any hole and pull. The blades follow the slot for a perfectly straight cut every time. Reusable and modular dividers for future modifications.